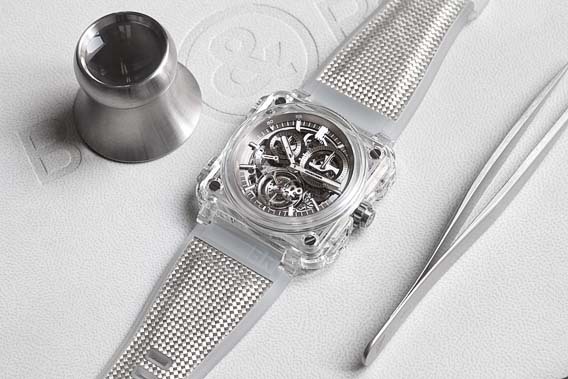 "Only five of these watches will be made. This watch uses a nine-piece case construction (all sapphire), and is fitted with a killer looking bi-materials strap (rubber with an inlaid Kevlar weave). 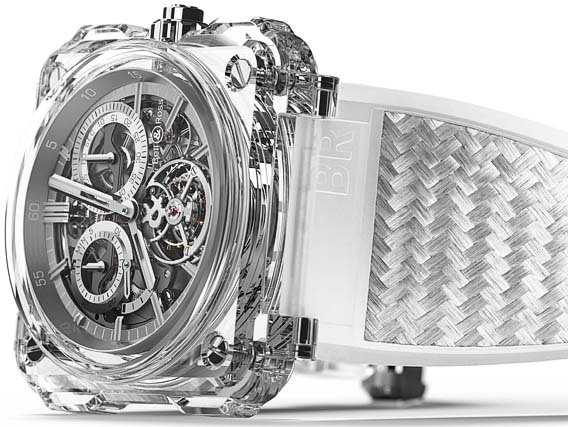 In line with advancing technology, 100% sapphire cases continue to permeate the high-end watchmaking world."